Professors are people, so they understand their students' pains and hardships. Professor Nathan Alexander teaching at Morehouse College went viral for being the kindest educator in the world. The Typical Student team learned more about the amazing story delivered by major news outlets worldwide. 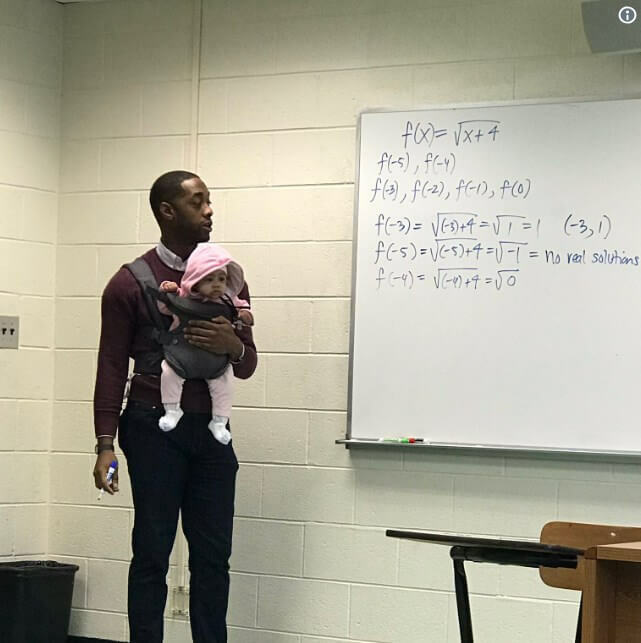 Student Wayne Hayer came to an algebra class taught by Nathan Alexander at Morehouse College with his baby. As told in a Facebook post by Nick Vaughn, his fellow student, Wayne explained that he failed to find a babysitter for his 5-month-old daughter. Surprisingly, Mr. Alexander didn’t mind the baby in the class, if this was a guarantee of Wayne's attendance. Especially with midterms coming up.